Hindu Lexicon Is Also a Web App! 1) Click here to open in Chrome or Safari. 3) Now you see it like any other app. You must have a live internet connection. Gurudeva was fond of taking a word adventure. Click a word and then click related words. You can click the little book mark underneath the word, and you save the words to “My Words” for review later. When we add words over time, they immediately become available the lexicon. This entry was posted on Monday, February 25, 2019 at 12:46 pm and is filed under Education, Publications. You can follow any responses to this entry through the RSS 2.0 feed. You can leave a response, or trackback from your own site. “As you approach God’s home, you can feel the spiritual energy, and as you go inside you are engulfed in peace.” Trust in and open up to the deity. God is a very subtle presence. The temple and the murti within it are set up so that anyone can feel God’s presence once they have enough devotion. Go to the temple and through the sanctified murti see God. Kumbabishekam purifies the temple, infuses divine energy into the murti. The deity, during puja, resides in the murti. Continuous daily worship perpetuates and over the years strengthens the power of the temple. Be close to God by going to the temple. By shifting our minds to our religion the flow of positive karma is intensified. Being open and receptive receive the blessings of the deity. Bask in the divine energy radiating out from the murti. Creating a strong tie to the temple, perform a sacred act when you return home. Light a lamp in your home shrine; bring the vibration and summon the devas from the temple. This entry was posted on Sunday, December 30, 2018 at 5:01 pm and is filed under Bodhinatha, Education, Theology. You can follow any responses to this entry through the RSS 2.0 feed. You can leave a response, or trackback from your own site. 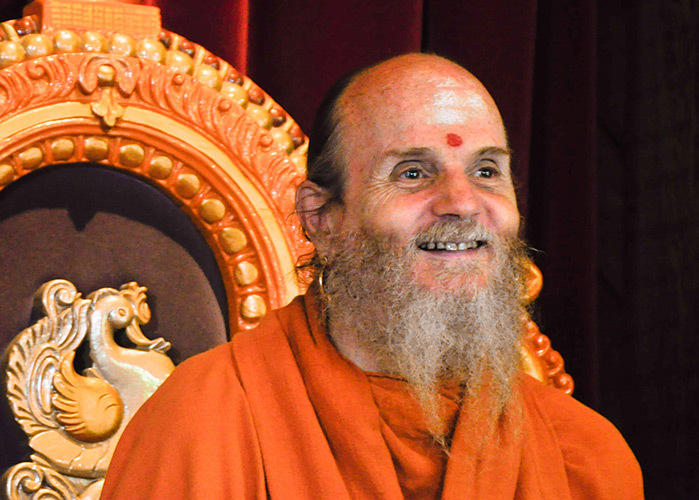 The Yogis and Natyam enjoyed several classes with their guruji these past few weeks, the subject being the Siva Sutras. 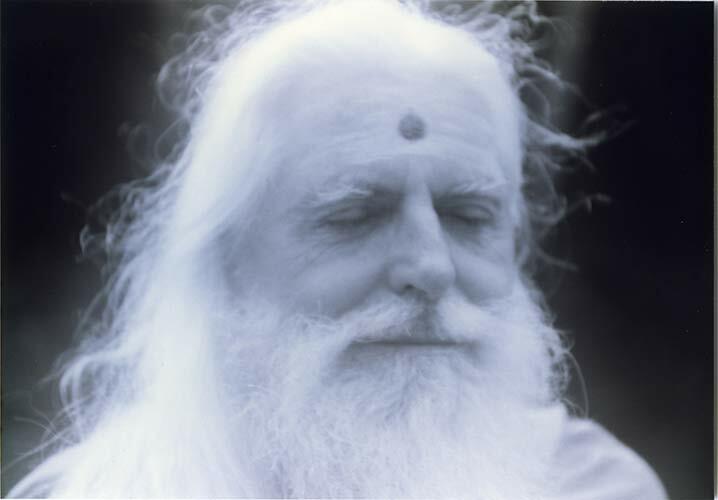 The yogis around Maharishi Nandinatha were well versed in the Siva Sutras, whose aphorisms were regarded as the voice of Siva Himself--a puzzling, mathematically sophisticated set of fourteen aphorisms that seem to be about the Sanskrit alphabet, but on deeper reflection are a key to understanding the composition of the cosmos, showing how this language creates a mystical connection to the Divine from its very roots. The early tantric traditions, from Kashmir Saivism to Saiva Siddhanta, share a love of the Siva Sutras, those obscure, arcane, mysterious verses that yogis study even in the 21st century to delve into the mystical apprehension of the universes, gross and subtle. These fourteen sutras--revealed to Panini, who wrote them down as a kind of yogic science notebook for its time--emanated from the drum held in the raised right hand of Lord Siva Nataraja. This science of sound and words remained a secret to most, for only the illumined could comprehend it, being unspoken knowledge directly from the Supreme Lord and beyond the reach of the ordinary mind. Sages like Sanaka, Sanatana, Sanatkumara, Patanjali and others were able to hear the transcendental sounds of Siva's drum but were unable to grasp the inner, core meaning of the aphorisms. Legend says they approached Maharishi Nandinatha seeking an explanation. Moved by the sincerity of their search for this rare knowledge, the satguru proceeded to elucidate the essence of the sutras. He offered 27 verses, which are the only written teachings of this primal preceptor that have survived the tides of time, and thus form the oldest scriptural text from this Saiva Siddhanta lineage. Terse and wise, it is known as the Nandikesha Kashika. Kashika means "the illuminator." It is said that Sri Nandikeshvara, as Maharishi Nandinatha is also known, accomplished the feat of explaining the inexplicable due to two things: his profound God Realizations, which gave him a oneness with Siva within, and the completion of a difficult, some would say impossible, austerity, that of reciting the epic chant Sri Rudram ten million times. Nandinatha's Kashika is more a meditation than an explanation, a contemplation on thirty-six constituents of the universe, from the most subtle to the very earth on which we stand--Lord Siva's unfoldment of the cosmos through sound, specific sounds that are embedded forever in the letters of the Sanskrit language. These constituents, or tattvas, are at the heart of the cosmology of Saiva Siddhanta, for in them can be found every level of consciousness, every element, every sense and color, every energy, vibration and sound that exists. Saiva Siddhanta speaks of 36 tattvas in all. Knowing the tattvas, one knows all. The ancient texts are dense, convoluted and opaque, for in those days the secrets of yoga and inner consciousness were thought too precious to be openly expressed. So they were concealed in a special kind of language, like a cryptogram, assuring that only those who were qualified would have access; others would be confounded. Indeed, reading these texts today is confounding, as this glimpse into the far past, into the heart of the progenitors of yoga, the Himalayan masters, proves. Without the insights and commentary of knowers of God and Sanskrit pandits of the highest order, even these aphorisms, composed to elucidate the even more arcane fourteen Siva Sutras, may defy understanding. This entry was posted on Friday, September 14, 2018 at 3:53 am and is filed under Education, Saiva Siddhanta Church, Theology. You can follow any responses to this entry through the RSS 2.0 feed. You can leave a response, or trackback from your own site. Welcome to HAMSA, or Himalayan Academy Museum of Spiritual Art. This in-browser application is our newest way to express and share all of Kauai Aadheenam's art with you. Click the link below to check it out, or find the portal via our website's main menu: Look and Listen--> Art and Paintings. This entry was posted on Saturday, September 1, 2018 at 2:25 am and is filed under Archives, Education. You can follow any responses to this entry through the RSS 2.0 feed. You can leave a response, or trackback from your own site. Our seven tales of Hanuman have captured a small but historic event that unfolded at Kauai's Hindu Monastery and reverberated far and wide. We have seen how life, if responded to from a spiritual place, is full of blessings, not all of which are immediately obvious. In truth, it is all Siva's doing. Today in this last chapter of our story we stop to reflect on other forms that Hanuman has taken around the world. Some are giant, some are elegant, all are heroic, for that is Lord Hanuman's spirit: courage, loyalty and service to the Divine. Our second photo today shows the hands of Barack Obama, holding among other things a small metal Hanuman he kept for strength and protection. From there we travel to India and Sri Lanka, Thailand and Malaysia. Come along as we seek the blessings of Lord Hanuman that our life, like His, can be one of pure love of and service to God. Jai Hanuman! This entry was posted on Wednesday, July 18, 2018 at 3:20 am and is filed under Construction, Education, Monastery. You can follow any responses to this entry through the RSS 2.0 feed. You can leave a response, or trackback from your own site. This entry was posted on Tuesday, May 22, 2018 at 9:43 pm and is filed under Construction, Education, Travel Missions. You can follow any responses to this entry through the RSS 2.0 feed. You can leave a response, or trackback from your own site. The monks and members gathered for another Ritau Homa in Kadavul Temple. 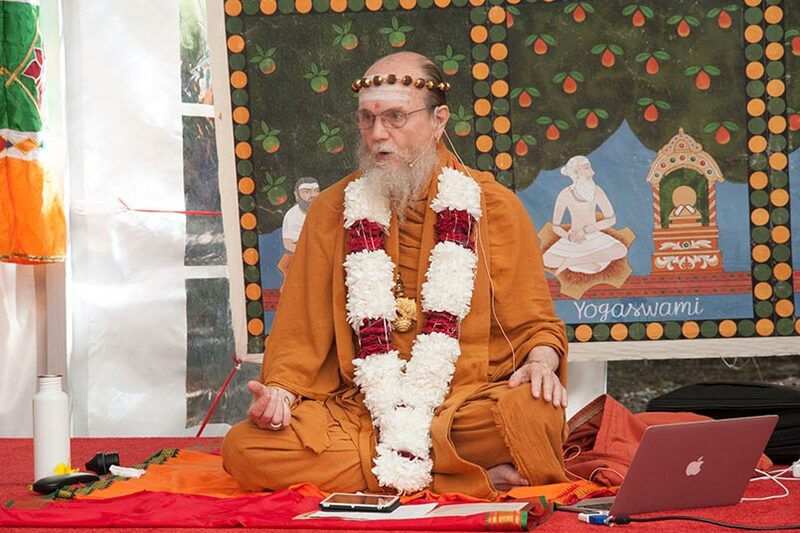 Satguru guided our week with a talk on the new ritau and the new considerations it brings into our lives. Nartana Ritau, the season of Dancing with Siva, begins on Hindu New Year. This is the period of creation, the warm season, from mid-April through mid-August. The key word of this season is planning. The colors are orange, yellow-gold and all shades of green--orange for renunciation, yellow-gold for action, and green for regeneration. High above, the main Hindu flag flies the color orange, heralding the Nartana Ritau throughout this season, symbolizing sadhana and self-control. The other colors adorn smaller flags. This is the season of giving special attention to those in the grihastha ashrama. It is a time of awakening, renewal, review. The emphasis is on seeing ahead, planning for future years. It is a time of planning retreats and other activities for youths and adults for the entire year. During this time of looking forward, the Churchs six-year plan is updated by the Guru Mahasannidhanam and stewards and another year added. The Saiva Dharma Shastras are studied; and any needed additions in supplementary manuals, representing new growth, are made. The practical focus is completion of unfinished projects. Secular holidays to observe among the families include Mothers Day in May, Fathers Day in June and Grandparents Day in August. In the monastery intensive cleaning of buildings and grounds takes place. New clothing is issued and old garments mended. This season of harvest and new growth is also the time to review and reestablish picking and planting routines for the gardens. It is a time for ordering seeds and plants for the year, of planting trees, fragrant vines and the annual crop. Review is made for scheduling the care of all nine realms of the Aadheenams 71 acres. Kadavul temple and the Guru Temple are cleaned and renewed during this season, and the adjacent grounds receive special, abundant attention. Karma yogis are invited to help in this and other areas with planting and weeding, digging, fertilizing, fence repair and more. The daily sadhana is the Sivachaitanya Panchatantra: experiencing nada, jyoti, prana, shakti and darshana. In Sanskrit, it is a time of learning new shlokas and mantras. In the family community, prashnottara satsanga is held for one and all to attend. Families plan for their annual pilgrimage. Shrine rooms are renewed and redecorated for the year, and the clothing of all is renewed in the Hindu style of the current fashion. It is a time of doing things for others, religious outreach. In the missions, Nartana Ritau is the time of bringing in new students and Church members. It is a time of hatha yoga and philosophical teaching. The main festival of Nartana Ritau, and of the entire year, is Guru Purnima. The mathavasis hold special conclave on Vaikasi Vishakham, the full moon day of May. This entry was posted on Thursday, April 19, 2018 at 8:03 pm and is filed under Education, Master Course. You can follow any responses to this entry through the RSS 2.0 feed. Both comments and pings are currently closed. Aum Sivaya from Sri Lanka! Today's main activity besides classes was an ancient Sri Lankan village experience. We were transported back 1000 years. This entry was posted on Saturday, February 24, 2018 at 1:39 pm and is filed under Education, Travel Missions. You can follow any responses to this entry through the RSS 2.0 feed. You can leave a response, or trackback from your own site.